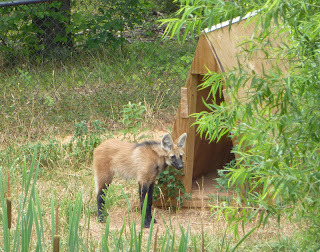 The Maned Wolf Family blog has had over 11,500 pageviews from 37 different countries! Also, the Maned Wolf SSP® has recommended that Bonita and Chiquita both travel to the Beardsley Zoo in Bridgeport, Connecticut to live together in their exhibit. The sisters won't be leaving us until November or December, when they will be old enough to leave mom, dad, and Vinny. As of now, Vinny will remain with us until a mate or exhibit opening becomes available at another facility. With Bonita and Chiquita moving together, they will keep each other company and help each other adjust to their new home. It is natural for maned wolf pups to leave mom and dad; maned wolves don't form packs like some of their cousins do. Connecticut may be a little cooler than North Carolina, but the girls are already used to going into and out of a building, so they will do great! 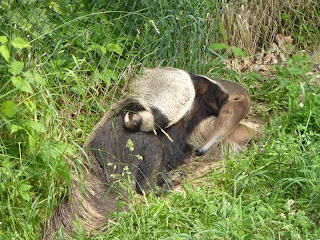 Check back this week for a very cute video of Eury, the giant anteater! 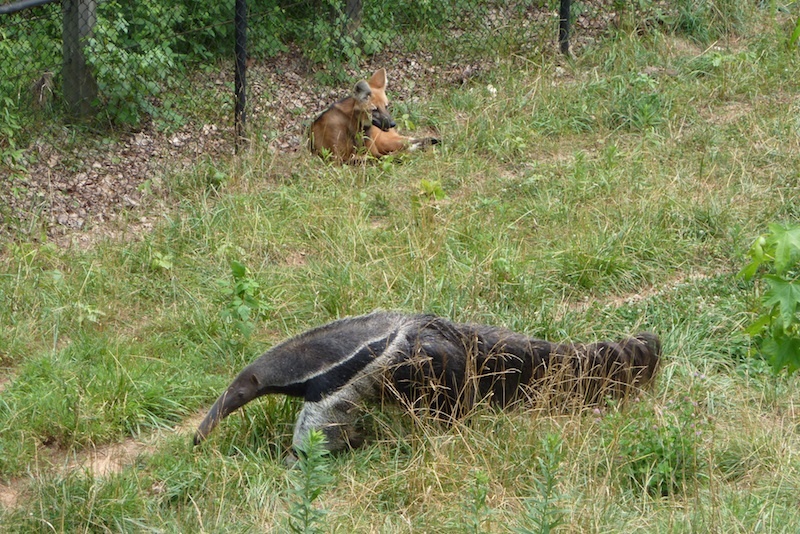 The maned wolf family and giant anteater are getting along fantastically in the exhibit.